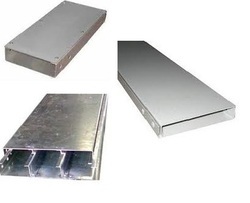 Our company is engaged in manufacturing and supplying an extensive assortment of Cable trays, Cable Tray Raceways which is acclaimed for its durability and dimensional accuracy. A cable tray is used to support insulated electric cables used for power distribution and communication. The company designs and develops these products in compliance with the specific requirements of the clients. We are one of the leading names among the manufacturers and suppliers of premium quality Cable Raceways to the esteemed customers. Procured from authentic vendors, best quality aluminum is used in the manufacturing of these raceways. Our professionals manufacture these raceways in compliance with the industry laid parameters. Offered fittings provide cable protection in both lay-in and pull-through cable installations. 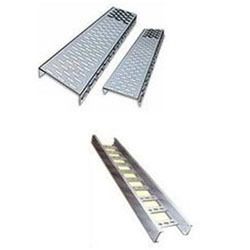 We are manufacturers of CableTrayRaceways. These raceways are manufactured in our equipped infrastructure in accordance with industry laid norms and parameters. Offered raceways undergo several quality checks before their final dispatch. Used to support the insulated electric cables that are used for power distribution and communication, these tray raceways are appreciated among the clients for their hassle-free installation and longer service life. Looking for Cable Tray Raceways ?